Five hundred thousand people – that’s two out of every hundred of the over-40s in England and Wales – suffer from glaucoma. Worldwide the figure is a staggering 70 million, making it the commonest eye disorder. The good news, however, is that thanks to the work of International Glaucoma, 95% of those in the UK diagnosed early retain useful sight. “We not only support suffers, but we also carry out research and by increasing awareness help to prevent the development of glaucoma,” says Sarah Zerbib. The charity, a leader in its field, has bases throughout the world. “Legacies are vital to our work as they provide a significant proportion of the funding without which we could not continue,” Sarah explains. Legacies also remain the most effective way to support your favourite charity. And their significance is growing. “Without them we would not be able to deliver the services which are vital to the quality of life of our clients and their carers,” says Sally. The Sanctuary’s profile will certainly benefit from the public recognition recently conferred on its founder, Dr. Elisabeth Svendsen, who was awarded an honorary degree by the University of Edinburgh in recognition of her dedicated charity work. Tony Parker, Legacies Manager of Vitalise, anational charity providing short breaks, holidays, respite care and a vast range of other services for disabled and visually impaired people and their carers, says that legacies now form the foundation of every aspect of their work. They amount to as much as 25% of some years’ income. Lisa believes the charity has a special place in many people’s hearts because most people have at some time enjoyed the companionship of a pet. Jenny believes “Tiggywinkles provides a unique service in that we offer care and vetinary treatment 24/7for injured animals. The specialist vetinary care we provide in our purpose-built facility means we are the busiest wildlife hospital in the world. We care for sick and injured hedgehogs, badgers, wild birds, foxes and even reptiles.” Currently the hospital is treating over 500 hedgehogs with more arriving every year. On average, Tiggywinkles treats over 10,000 animals every year. Fortunately, more people are thinking about leaving a bequest. Charity Commission research shows that recently the number of people "very likely" to leave a charitable bequest has doubled to 8%. Yet there still remains an enormous disparity between those who regularly donate to a charity – 70% of the population – and those who leave a legacy – under 10%. Most people simply don’t get round to it – which is bad news not only for charities but also for the families of the 300,000 people who die intestate every year. One organization working to change this is Remember a Charity. A similarly helpful initiative is Will Aid. Many solicitors now support this scheme which allows you to have a basic will professionally drawn up by a solicitor who will not charge their usual fee. Instead you are invited to make a donation to Will Aid. 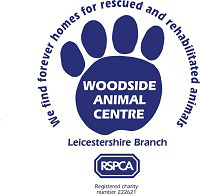 You can find details of a company near you which operates the scheme at www.willaid.org.uk or by phoning 0870 6060 239. Vitalise and Disabilities Trust also offer personalised advice based on the individual’s specific requirements. These resources are a superb way of making you aware of the many factors you should consider. What’s more, a charitable donation is one of the best ways to safeguard your hard-earned money from the clutches of the tax-man. Charitable legacies do not incur inheritance tax (death duties). Inheritance tax is the tax on your estate after death. It currently stands at 40%. If your estate is worth more than £325,000 then inheritance tax is payable on anything above that amount. So if the total value of your estate were £525,000 and none of it qualified for exemption, then a whopping £80,000 would go to the taxman. However, the good news is that inheritance tax is not payable on any gifts you leave to charity, so legacies not only allow you to make a lasting difference, but also ensure that your gift is given in the most tax-effective way. Inheritance threshold figure generally changes annually. However, in December 2009, the Chancellor announced that the figure of £325,000 for the current tax year, 2009/10, will remain unchanged during 2010/11. This means that if your charitable donation brings the value of your estate below the threshold, it should not be liable for any inheritance tax. To put all this another way: by leaving everything above the tax threshold to a charity, you avoid paying tax, as the value of the charitable gift is deducted from your estate before inheritance tax is calculated. What’s more, donations made in this way are doubly beneficial. A donation of £2,500, for instance, means that the charity gets £2,500. If this £2,500 were not going to a charity and was liable to inheritance tax then the Exchequer would get £1,000 and the beneficiary only £1,500. It is impossible to exaggerate the importance of this factor. In 2008 the Exchequer’s’ contribution to charities actually exceeded the amount raised by voluntary contributions. Additionally, there is a great deal of flexibility in how you leave a legacy. Basically it can take one of five different forms. This means that whatever is left over from your estate after all your wishes have been carried out and debts cleared goes to the charity of your choice. Whereas a residuary bequest depends on what is left over after all your other bequests have been made, this is a gift of a fixed sum of money. The disadvantage of this for your chosen charity is that the real value of this type of legacy will decrease over time, as the cost of living increases. A particular named item - for example, a piece of jewellery - left as a gift in your will is known as a specific bequest. There is virtually no limit to the things that can be donated. A gift in your will that depends on the occurrence of an event which may or may not happen is known as a contingent bequest. An example is a bequest to a charity which applies only if other beneficiaries named in the will die before the testator (the person who made the will). This is a gift of property ‘subject to prior interest.’ So, if a house is left to someone in their lifetime, on their death, the house could be gifted to a charity. The charity has then been given a ‘reversionary interest’ in the house. As Liz Braude, partner at Pannone LLP says, it is their practice to ask those who support a charity if they would like to remember it in their wills. Quite apart from making a bequest, it makes sense to review your will periodically to ensure that it continues to reflect your wishes. An up-to-date will is important as it gives you control over your affairs and removes any uncertainty for those left behind. If you already have a will, changing it is very straightforward. The simplest way to update it is to write a codicil. This is a document that changes, adds to or removes clauses in an existing will. Liz Braude advises that in order to ensure that a codicil does exactly what you want and does not inadvertently revoke other aspects of your will; you should use a solicitor for this too. If you are the beneficiary of a bequest, you may decide to make a gift, in the dead person’s name. The gift can be made any time up to two years after the death by drawing up a deed of variation and sending it to the Inland Revenue. Here again, it is always best to do this through a solicitor. Whatever your motive for making a bequest, you can be sure they affirm the work of charities and leave behind a priceless legacy of hope.